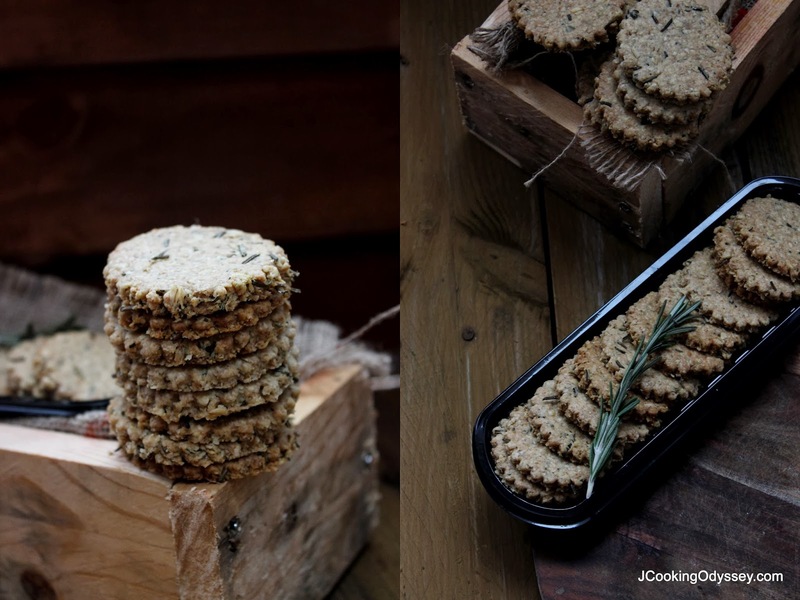 Jagruti's Cooking Odyssey: Rosemary and Black Pepper Oatcakes ! In my everyday cooking I am not accurate, it's just approximate ( we call it andaza ) that's the way how I learnt from my mum and now my daughter learnt from me. For me it is very hard to cook dish with accurate measurements every time, however perfect taste is always there and people can tell that's my cooking if they have tasted my food, and that's the beauty of an Indian Cooking ! But I know that my andaz style will not work in baking, In baking all the measurements and methods must be followed very strictly. Now you know , why my blog doesn't have many baking recipes ! 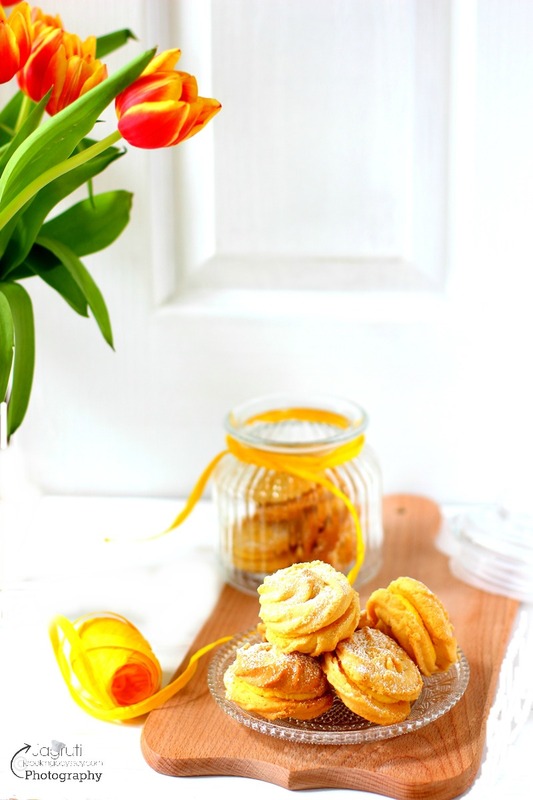 It is believed that Baking has therapeutic that is beneficial for mental health, baking helps to lift any depression, your negative energy can be turn into something constructive. People say baking helps them when they measure exact amount of sugar butter or flour, they feel that they are in control. But for me these are the same reasons where I find baking very stressful and tedious. Also, I prefer eggless baking, it is more tougher than baking with eggs. Most People say while baking put little "Love" into your baking and it's just turn out as good..Lol, I might say with love keep your measurements precise and wait for better luck ! That doesn't mean I totally avoid baking, sometimes I do put my finger in a pie ! So this time not a pie but I have oatcakes. 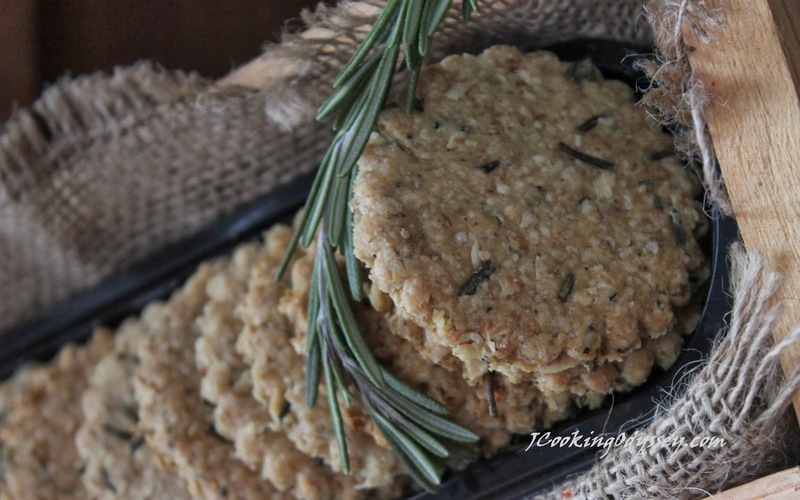 I followed recipe to precise, oat cakes came out perfect, beautifully baked and delicious. In 3 days I baked my second batch, first batch I baked with Butter and they were excellent and in second batch I added Sunflower Oil to make it little healthier. I would say there was a slight difference in taste in second batch, but my family approved both. Then why do I worry ?? 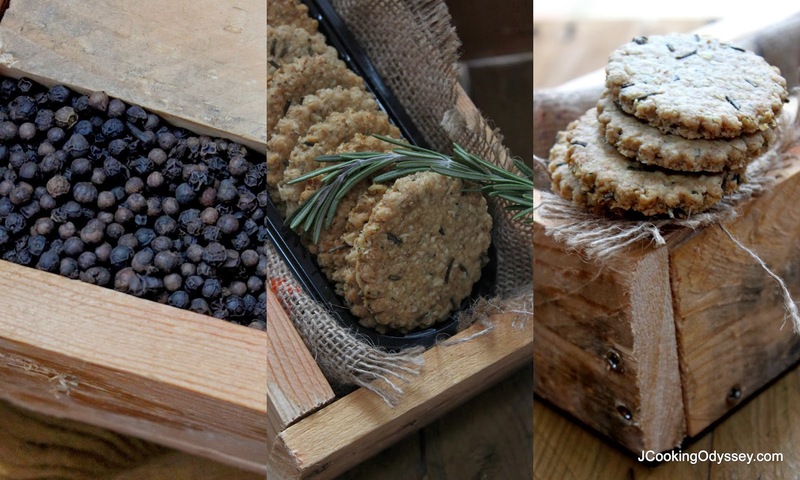 So here I am today with Rosemary and Black Pepper Oat Cakes ! 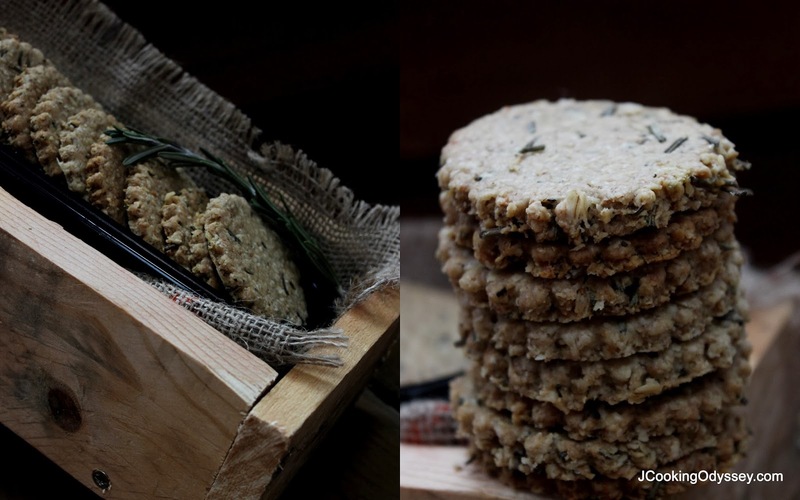 These oatcakes are very simple to make, delicious to eat and put into fabric-lined boxes, cover with a lid and tie with festive ribbon, make a wonderful gift for friends and family. An Oatcake is type of a flatbread or similar to a cracker and made from Oatmeal. You can find sweet and savoury versions were developed to be served with jam or cheese. In UK Scottish oatcakes are more popular, I simply adore them as well as our Queen typically has for breakfast and Our PM David Cameron named Scottish oatcakes his favourite cake. Preheat the gas oven to mark 5. Place oats and flour in a mixing bowl and add salt, sugar, rosemary and pepper. Mix together and add oil and add water little by little and form a soft dough. Arrange on baking sheets and bake for 35 minutes until very light golden. Turn the cakes over in the oven after 25 minutes. Enjoy with cheese or cuppa. We had half of them with Cheddar Plum cheese. Can be store in a air tight container and stays fresh up to one week. 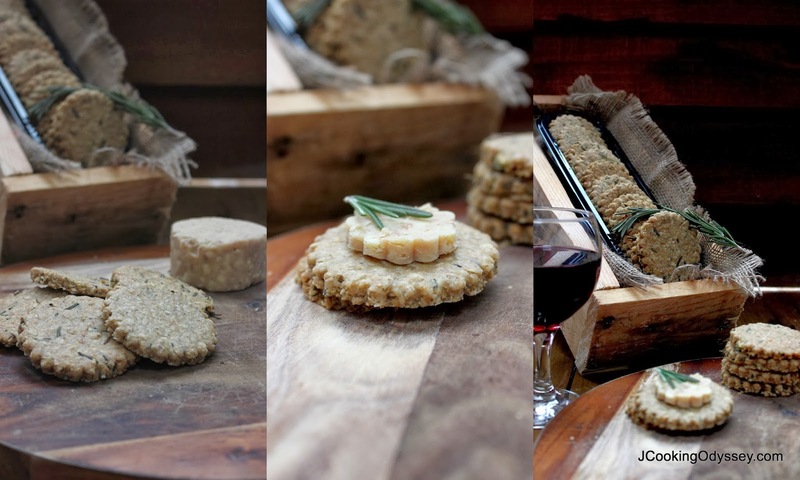 W'd earful clicks and the oatcake looks delicious ! Healthy recipe. The photos are very good. Thanks for sharing the recipe. They are so very pretty Jags.. 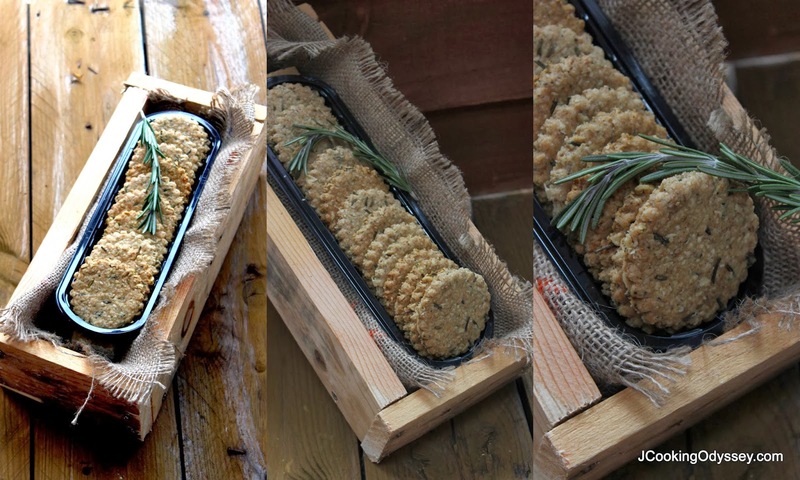 I am addicted to rosemary these days..
Lovely and asthetic pics of oatcakes. Lovely preparation.